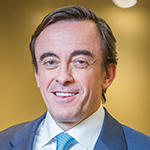 Kevin McCreadie, President and Chief Investment Officer, AGF Investments. January 2018 marks the 103rd month of the current bull market, the third longest in US history, surpassed only by the booms of the 1960s and 1990s. Considering such bull market streaks have averaged five years since 1950, investors may naturally question when a correction is set to take place. While any number of indications are suggestive of continued market growth in the near term, we believe a disciplined approach to investing is key as we seek growth opportunities in 2018 and simultaneously prepare for potential downside risks. Global growth is expected to continue across most regions into 2018. Supportive economic data and fiscal reform should underpin rising equity markets, though central bank policy error and geopolitical considerations warrant an element of caution. We remain constructive on the global economy as economic data further strengthens late in the cycle. As a result, equities are preferred relative to fixed income. Developed markets are currently favoured over emerging markets, though our outlook for emerging markets has improved in recent months. With respect to fixed income, restrictive policy imposed by several central banks creates a potential headwind for the asset class as yields may come under further pressure. This has led to a preference for spread-driven products such as high-yield bonds as defaults remain low and company fundamentals continue to strengthen, though we will be closely monitoring the impacts of US tax reform. Emerging market debt is also cautiously favoured. Within rate-sensitive bonds, we prefer investment-grade corporate bonds over government bonds, which may falter if yields continue to rise. Canadian economic data was exceptionally strong in 2017, with GDP growth leading all major developed economies through the first half of the year. Canada also recorded its strongest employment creation in more than 15 years. Importantly, however, the Canadian market failed to reflect this strength as performance lagged most developed markets in 2017. In our view, negotiations with trading partners will be a key driver of the Canadian market in the months ahead. To this point, NAFTA discussions have made little progress, leading to growing concern that the Trump administration may terminate the deal. This would likely have a dramatic effect on the Canadian dollar, and trigger negative sentiment from both business owners and global investors. Oil prices have settled above US$55 levels, though sentiment remains poor, weighing negatively on Canada’s energy companies. In addition to continued OPEC compliance, we believe the deciding factor for the price of oil in 2018 will hinge on the level of US shale production. Canada’s overheated housing market remains a significant risk as well. Price appreciation has added to record high debt levels, which in a scenario where low unemployment reverses would create extreme stress on the Canadian economy as a whole. The US continues to drive global growth through strengthening economic data and fiscal promises. We maintain our bullish view for the US entering 2018 as equity markets slowly grind higher. The US labour market has been solid with unemployment at cycle lows and inflation at manageable levels, prompting three Fed rate hikes in 2017, matching initial forecasts. Tax reform is now in the final stages, which should significantly lift earnings in the year ahead and extend the current cycle. We do not anticipate a significant downturn without a recession, and our analysis suggests chances of this are low in 2018. Perhaps the greatest risk to US growth in 2018 is at the political level. President Trump’s approval rating is hovering around the “danger zone” of 35%. Historically, markets have struggled when past presidents fall below this key level. Additionally, tensions remain elevated between President Trump and leaders of North Korea, China, and several Middle Eastern nations. We will continue to monitor these developments, though equity markets appear unnerved at this point. The US Federal Reserve (Fed) is set to welcome a new chairman and multiple new voting members in 2018. Although we do not anticipate a material change in terms of the Fed’s dove-hawk spectrum, some caution is warranted around future monetary policy decisions. Improving economic data and continued accommodative policy from the European Central Bank supported strong growth in 2017. Political risks have softened, and the Macron government in France appears to be moving towards reform, which should aid further growth in 2018. Longer term, however, with Brexit negotiations still unfolding, delays towards the formation of a coalition government in Germany, and a national election in Italy that could threaten another populism uprise, we hold a moderately unfavourable outlook for the region. In our view, Japan is most favoured among global developed markets. The Japanese economy, which is highly linked to exports, would greatly benefit from anticipated global growth. Valuations look attractive as well, as compared to other markets, along with strong corporate governance, modest wage inflation, and inventory levels. Monetary policy remains expansionary, supportive of further growth, though potential missteps by the Bank of Japan do pose some downside risk. Geopolitical risk also remains a threat, both directly with North Korea and indirectly as tensions remain elevated between several nations. The yen, seen as a safe-haven currency, could see dramatic inflows if these tensions boil over. These inflows would result in yen strengthening, which negatively impacts the Japanese economy. Our outlook for Asian developed markets (excluding Japan) is neutral, though this view is largely a result of more favourable opportunities found in other global markets as opposed to fundamental concerns. Singapore and Hong Kong are preferred in the region. The extent to which the Fed raises rates in 2018 – and subsequent appreciation of the US dollar – could impact trade, though we expect the Fed will be very cautious in implementing policy. We expect emerging markets will generate strong returns in 2018 through EPS growth and attractive valuations, though may be challenged in matching 2017’s significant growth. EPS growth is accelerating relative to developed markets, yet still trades at a discount of approximately 25%. Reforms in India, Mexico, Indonesia, and Brazil are driving margin expansion and improving asset turnover. However, risk of a slowdown in China has increased as the country shifts production focus towards quality over quantity, which should lead to tightening in fixed-asset investment. Despite this, we do foresee an uncontrolled slowdown in China over the medium term. Political risks are ever-present, with key elections on the horizon in Mexico, Brazil, Thailand, and South Africa. Potential appreciation of the US dollar will impact emerging markets; however, we are watching how this relationship is evolving. Emerging markets are no longer commodity-based, with Technology and Financials now making up over half of the benchmark, and as a result, may be less reliant on the US dollar. We are constructively positive on the region with some caution. The commentaries contained herein are provided as a general source of information based on information available as of December 20, 2017 and should not be considered as personal investment advice or an offer or solicitation to buy and/or sell securities. Every effort has been made to ensure accuracy in these commentaries at the time of publication; however, accuracy cannot be guaranteed. Market conditions may change and AGF Investments Inc. accept no responsibility for investment decisions arising from the use of or reliance on the information contained herein. AGF International Advisors Company Ltd. is authorized by the Central Bank of Ireland, in Ireland, and is regulated by the Central Bank of Ireland for conduct of business rules in Ireland, and regulated by the FCA for conduct of business rules in the U.K. This document is for use by accredited/professional investors only.